"We handle import and export iron and steel shipments for a vast array of international clients. 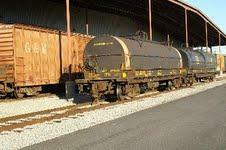 Ocean Link provides fast, efficient and reliable warehousing, storage and transportation services to include on-site rail services for shippers. Our qualified team of professionals are experienced in importing or exporting iron, steel and other commodities via truck or rail." Ocean Link is situated approximately five miles from Georgia Ports Authority's Port of Savannah's Garden City Terminal and approximately ten miles from Ocean Terminal. Contact us at (912) 963-9898 for a competitive price quote. Visit our Photo Gallery to preview photos of our Warehousing, Trucking and On-Site Rail Capabilities. The following are just a few photos to demonstrate the services and cargo we handle for international shippers. Please click on the image to enlarge the photo.